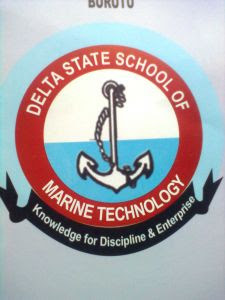 The Delta State School of Marine Technology, Burutu, is an institution with multi-campuses at Gbaregolor and Kwale. The institution which is fully accredited by the National Board for Technical Education (NBTE), invites applications from suitably QUALIFIED CANDIDATES FOR ADMISSION INTO THE UNDERLISTED National Diploma (ND) Programmes, Weekend Programmes and Part-Time Studies for the 2018/2019 Academic Session. DESOMATECH ND Courses and Requirements. For Estate Management, Credit passes in Mathematics; English Language and three (3) subjects from the following: Physics; Chemistry; Geography; Statistics; Technical Drawing; Basic Surveying; Economics; Biology; Agricultural Science; Art; Woodwork and Metal Work. For Urban and Regional Planning, five (5) Credits passes in not more than two (2) sittings in Mathematics, English Language and one of the following subjects: Geography; Economics; Statistics; Art; and two science subjects from Chemistry; Physics; Technical Drawing; Biology and Agricultural Science. How to Purchase DESOMATECH ND Form. Aptitude test holds on Saturday, 25th August, 2018 at 10.00am in any of the centers indicated in candidate’s application form.